For a lot of people, NASA physicist is a dream job. It’s prestigious! It sounds literally otherworldly! It’s goddamn NASA! But for Robert Lang, his day job cramped his passionate hobby. In 2001, he made the full switch over to origami. Take one look at his amazing (original!) designs, and you’ll understand why Lang felt the call. Working as a physicist did actually train Lang for his new paper folding career. 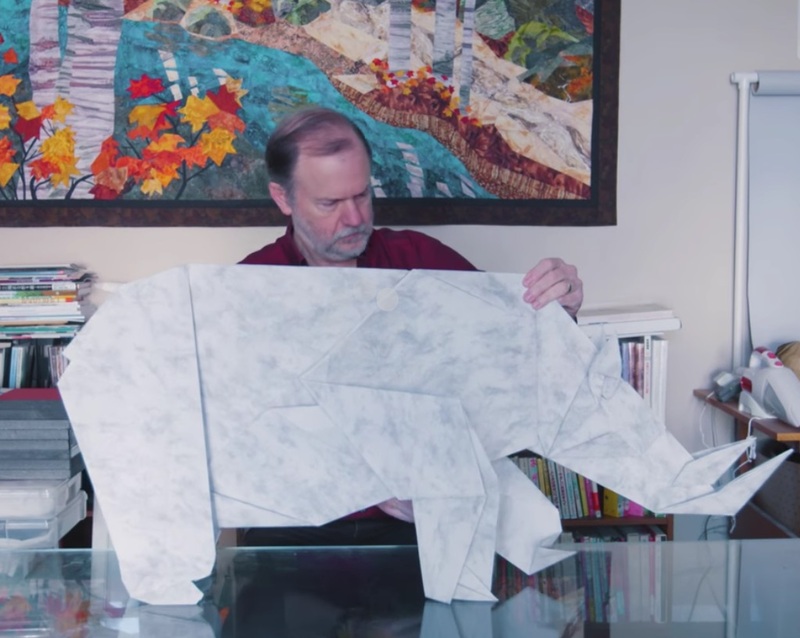 Origami is an art form that must adhere strictly to mathematical rules. If you have a head for numbers and what must be an incredible reserve of patience? The only limiting factor is truly your imagination. Of course, Lang’s technique isn’t just about creating beautiful paper objects. (Though those are certainly something!) His work has a lot of application in industrial design, and his new work even circles back to his old work. You know what organization depends on creative and space-conscious design? None other than the space exploration industry.